Keeping in theme with the Chinese whispers, we don’t want to stray too far from our previous word, or at least make sure there’s a link between the words. My inspiration from the RAIN pieces is PUDDLES. 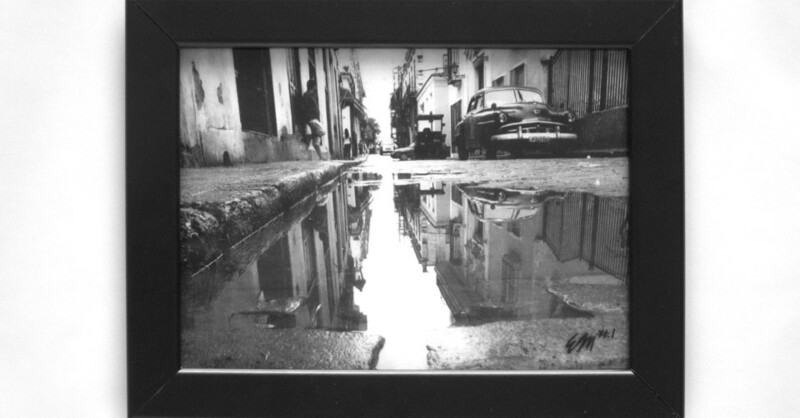 I choose the word puddles because of photographs I saw in Cuba when I was there in January 2016, by Leo D´ Lázaro, which inspired me. His play on reflection and the use of water is fascinating. 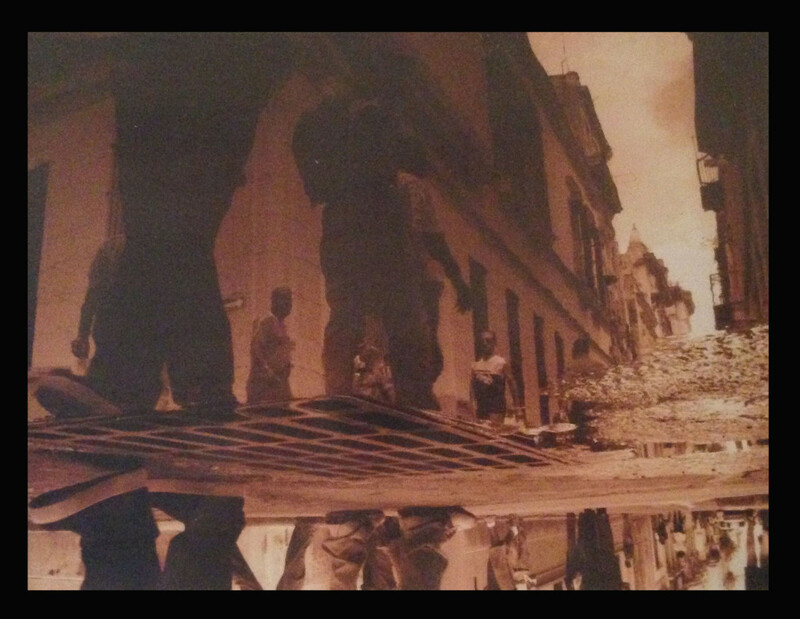 The piece of art I created is from a photograph that I took in Cuba. 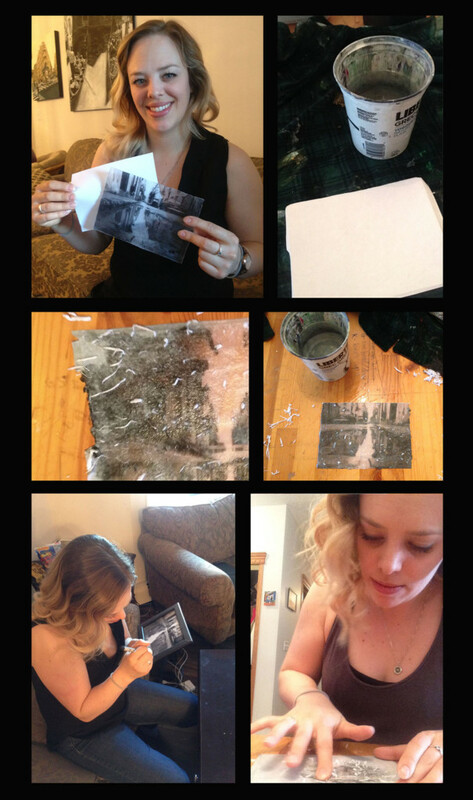 My process for this piece is a paper transfer on plexiglass. I choose to do this process because I wanted to use the photograph but I wanted to use it in a more creative way then just to print it on paper. I have done this process and worked on plexiglass before so I am comfortable with the material. However, I don’t know if Daria will be familiar with it, so I am very interested to see what she does with it. Daria will receive the piece of art and complete it with no knowledge of why I made this pieces of what my inspiration was. She could guess the same word or she could guess something completely different. We are not allowed to read each other’s blog till the art piece is finished.